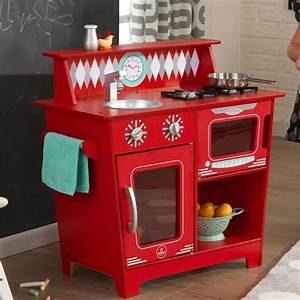 Today only, while supplies last, head over to Zulily where you can score this KidKraft Classic Kitchenette for only $39.99 (regularly $67.87). Shipping for this kitchenette is $5.99 making for a final cost of $45.98 shipped. This kitchenette features a microwave, oven, towel holder, removable sink and storage cubby. It features stain finish knobs that turn and click, handy stovetop shelf for storage, and the sink is removable.